There are many concepts within the esoteric world that many of us do not fully understand. It may be this lack of understanding that compels us to venture into these concepts more than we do the hard data we might find in conventional science. Though reliable science can yield some very profound facts about life and our universe, it seems that there is some unique appeal in seeking out the hidden truths with the supernatural. There are many experiences that a soul can have in life. These can range from that which seems fairly mundane to those which are jaw-dropping and unforgettable. Yet even with the most profound experiences, the possibility that we have lived hundreds or even thousands of other lifetimes seems to stand out significantly. In fact, this notion could easily leave one's head spinning. "I don't remember living in another place, in another time period, or in another body." These are some of the thoughts we may have had when we first learned of this possibility. Yet virtually all religious texts of ancient times refer to life being not a singular incarnation, but to consist of numerous, layered experiences--all having meanings and lessons of their own. The Akashic Records could be said to be the amalgamated records of all of these experiences which each soul has had. This possibility leads us to consider how a person might axes these records if they exist, what they might find, and how they might learn and benefit from realizing and appreciating their own forgotten experiences as a soul. The possibility that these records are real and accessible to a soul who has the intent to seek them out can be an exciting thought to have. However, we might also keep in mind that everything we experience may simply be an illusion; a game; a chosen activity for the infinite soul which each of us is said to be. In this case--as amazing as the thought of such records might be--these records simply represent our experiences within the illusion of the finite. In reality, we may be limitless in potential and identity. Akashic Records - This is a quick reference term used to define the Universal Matrix of Cellular Memory that has contained within it, the recorded event of every possible experience and permutation of consciousness existing in our 15 dimensional Universal Time Matrix. Many times other healers refer to this term as a part of clearing the soul record memory in the "Akasha" field of memory. The Akashic record or Akasha is a reference to the name of our Universal God Seed Code system that carries all the frequency and coding that created our Universe. The Guardians refers to this Universal System as the " Eckasha" or Ecka Universal System. Akasha is a more common terminology that many of us have heard before that refers to the same meaning. When we are doing emotional clearing work, many times we will state with the power of our declaration in self sovereignty that we clear and dissolve its trauma effect upon our spiritual bodies karmic record. Hence clear this " pattern" from my "Akashic Record". You are stating you command its clearance from the record of ever existing in your holographic energy field across all time and space. On a planetary and solar level, the Halls of Records are tubes leading to spherical probability fields that one can walk through, if your body can pass through Stargates, and watch existence everywhere in every time frame. They are like surround-sound-and-vision theaters. There are many references to the Akashic record, Hall of Records or the Eternal Book of Life from the many sacred texts of the ancients. The Akashic records emanate from the primordial substance of the Eternal God Source of which is projected as the DNA record and its instruction set (morphogenetic field) of all creation over time. They are comprised of the memory record of the entire consciousness journey over time, so every idea/thought, word, and action is registered in the Akashic record which can be accessed and interpreted over any point in the spiral of time. Each Universe, Galaxy, Planet, Being, has its own Akashic record memory, and there are many collective memory records of all spiritual families on their journey throughout time. The way we receive the intelligent information from the Akashic Record is through transmissions via encoded Light language, which is sacred geometry of words, symbols, glyphs, as the language encoded in "fire letters". There are stages of access in the Akashic Records, and very few beings at this time on earth have the purity to access beyond the soul planes of the second density. One must be purified to exist within the higher ethical standards of spiritual morality, and it is impossible for the accurate representation of the Akasha to transmit through a being with purely selfish motivation of Negative Ego desires or Service to Self orientation. This manifests as a "partial access" or corrupted view to the historical record or Soul record under the guise of the ego's slant or judgment of circumstances. With pure heart based motivation in sacred and reverent prayer towards Life, one may request to access one's own Akashic record to view other lifetime identities, histories, patterns and related issues that may have imprinted in the current lifetime. This may be very helpful in clearing and releasing painful patterns in the soul memory and emotional body. Rudolf Steiner spoke about what he considered to be his direct experience of the Akashic Records (sometimes called the "Akasha Chronicle"), thought to be a spiritual chronicle of the history, pre-history, and future of the world and mankind. In a number of works,Steiner described a path of inner development he felt would let anyone attain comparable spiritual experiences. Sound vision could be developed, in part, by practicing rigorous forms of ethical and cognitive self-discipline, concentration, and meditation; in particular, a person's moral development must precede the development of spiritual faculties. The above is one possible description we will find which could accurately represent the concept of the Akashic records. There may be other variations with different interpretations, but in general, the description seems to line up with other principles found within tested spiritual practices. The point made about the various paths--those being service-to-others and service-to-self--were particularly interesting in their implications. These points proposed that an individual's spiritual experiences would be depended and even limited by their orientation on spiritual matters. If the individual were self-serving, they would not be able to see themselves or their records clearly. This may be due to the principle that self-service distorts the universal perspective of the individual so that they remain in a state of unconditional self-edification. This egotistic self-edification is often complimented by an overall critical and sometimes destructive view of all that which is not seen as relative to the self. Simply put, in this state an individual considers themselves to be the center of the universe and subconsciously, they see themselves as Source. This represents a portion of the distortion of the service-to-self path. However, the service-to-others path can allow a soul to view the universe in a more balanced way and according to the above passage, they can even clear their vision enough to read their own records of past life experiences. We might also note the value of both polarities, as one cannot be claimed to be better than the other. Both paths are said to have their own respective opportunities. However, as in this case, the service-to-others path seems to yield opportunities of self critique which the path of self service may not. The above excerpt represents one perspective, but for the sake of variety, let's explore further. Below is another take on the concept of the Akashic records and how we might use them to benefit our lives and the lives of all those around us. The Akashic Records refer to a database of every word, thought or action that is stored energetically and encoded in a non-physical plane of existence. They are said to contain the information of every Soul or BEing in the cosmos. The Records are continually updated, with each new thought, word or action that every Soul or entity makes. The Akashic Records therefore contain the energetic prints about the origination and journey of every Soul through its lifetimes. They connect each of us to one another. Akasha is a Sanskrit word meaning “sky”, “space” or “aether”. To aid in visualization, most describe the Akashic Records metaphorically as a library. Others likened it to be a “Universal Computer”, the “Mind of God”, the Cosmic or Collective Consciousness, the Collective Unconscious or the Collective Subconscious. Akashic Records is not physically an out-there thing. It is the speck of divinity within us that allows us to access the field of the Akashic Records. Anything about the Universe has an energetic record. The records of your Soul are located via your full name at birth and birth date of this current lifetime. They are embedded with information about your previous lifetimes, your Soul Origination, current life lessons and your purpose, and also about future choicepoints. The soul’s journey in self awareness is undertaken through a cause and effect process. You are constantly presented with opportunities to meet Self and to apply spiritual principles in the physical world. You will meet with lessons that will be provided again and again, until you have gained mastery. How Are Akashic Records Accessed? The records are accessed through being in a deep state of relaxation or meditation. Anyone can have the same access to the Akashic Records. It is like having an internet access to the same database of information. In reality, no special powers or abilities are needed to get into the Akashic Records. The same records are accessible by the subconscious mind, through dreams, intuitive and esoteric exercises. However, a cluttered mind, ego, little connection with one’s Higher Self and a lack of trust in one’s divine power are hindrances that an Akashic Record reader needs to overcome first. It is only when there is complete harmony between the conscious, subconscious or superconscious that Truth from the Akashic Records can be determined. One of the most famous of Akashic Record readers is the late American psychic Edgar Cayce (1877-1945). He has been called the “sleeping prophet,” the “father of holistic medicine,” and is about the most documented psychic of the 20th century. He has done readings on more than 10,000 topics! Other famous personalities who have accessed the Akashic Records include Nostradamus, Quatzlcoatl, Rudolph Steiner, Mary Baker Eddy and Emmanuel Swedenbord. 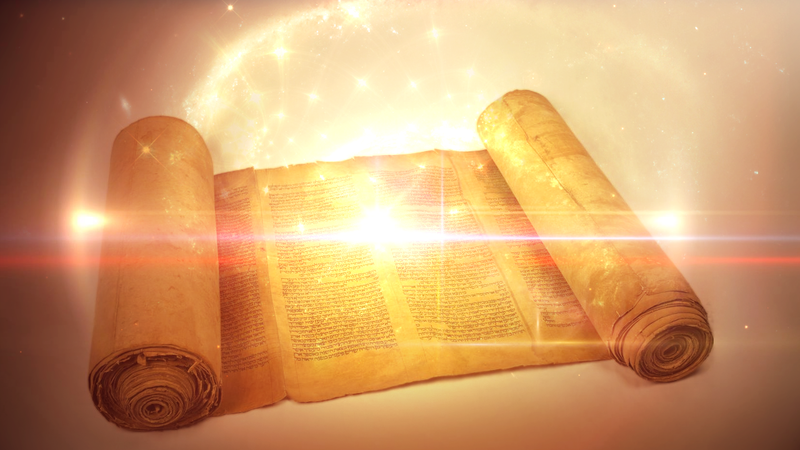 We read the Akashic Records from the Now Time Line. All about the past, present and future is brought into the “Now” to be read. We get a glimpse into the journey and the path of a Soul through the Universe. A reading into your Akashic Records is to let your Soul have a voice. We can identify what past traumas and obstructions there are that have left an energetic imprint. By doing so, we exercise the grace and intent to release them. Soul Realignment is indeed a powerful way to raise your energy vibrations. It is an important key to being Spiritually Whole. Your BEing walks in greater awareness from the time you have your Akashic Records read. It is less important to know who you have once been. Of greater significance, it is who you are in the process of becoming. The past and a sense of who you are at Soul level provides a framework of information with which to work. What you ultimately do with the knowledge is still a matter of free will and choice. For each lifetime, you undergo experiences which would enable your soul to connect back to the Divine. The ultimate benefit of finding out your own Akashic Records is essentially to realize your Oneness with God/The Universe/Spirit. It seems consistent within both definitions that purity of the reader is key in achieving accurate readings of these records. We may have heard the same principle when addressing the issue of channeling from spiritual beings. In modern society, most of us are not taught how to accurately evaluate ourselves. In the West particularly, we are typically raised to compete with all of those around us. Consequently, we can find ourselves thinking more highly of our own abilities than we have reason to. We can be overconfident in our endeavours even when we have little proven ability to speak of. And in some cases, when we try our hand at channeling, this egotistic perspective does not seem to change. In reality, it may be unwise to think of ourselves as experts at anything until we have proven our ability in multiple real-world situations. Neither our pre-existing confidence, nor the blind trust of others are reasons for us to believe that any ability of ours is particularly flawless. This is not to say that confidence is not an important characteristic. It very much is. However, unless that confidence is balanced with humility and healthy perspective of our own need for improvement, we can wind up stunting our growth at our intended task. Specifically in the area of channeling or reading of any spiritual records, it can be unwise to immediately have confidence in our expert ability before we learn the responsibility, the self-honesty, and before gaining the experience required to practice any ability we have. As we may know, our capacity to perform a task is only a small piece of the puzzle. Anyone can have an ability, but unless we make the effort to practice, hone and sculpt that ability, it may not do us much good. The journey to learn about the self beyond the physical can be one of extreme adventure. There is no way to know what we might encounter on our specific quest for this knowledge. However, we can know that whether we are searching the Akashic records, channeling spiritual beings, or seeking insight about life's next opportunity, we may know that our success is more than possible as long as we are willing to see ourselves in love, honesty, and clarity.